The designer in me made these custom Tic Tac Toe Valentine’s Day cards for my little ones to pass out to their classmates. The mother in me hopes that they are actually encouraged to make new friends by playing tic tac toe with somebody new. 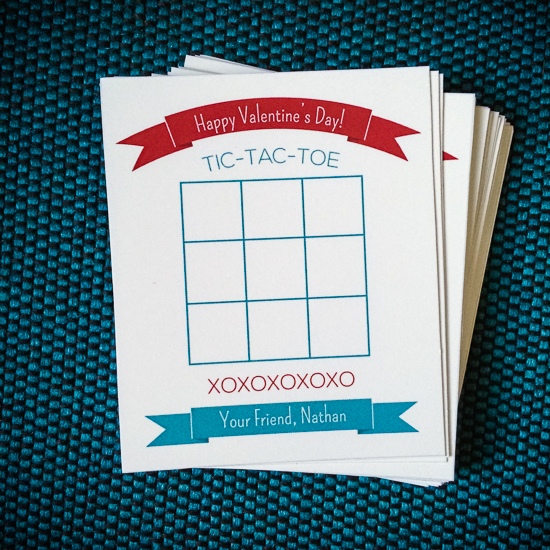 Either way, I’m sharing this Tic Tac Toe Valentine’s Day Cards Printable with you.